Glossy blazon vector art image to create medieval graphics, king or knight illustrations. 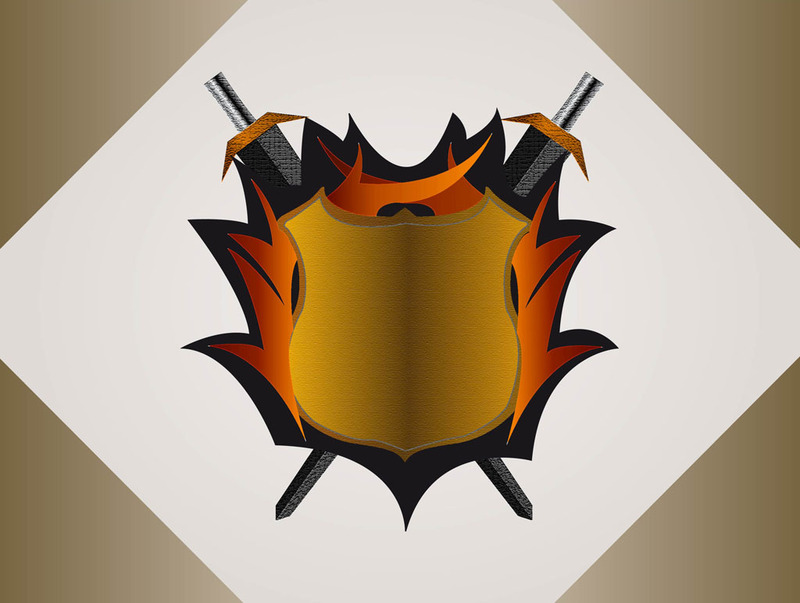 Download shiny shield vector with swords and flames in Illustrator AI and PDF format. Cool vector download for your heraldry and royal design themes. Tags: Brave, Emblem, Heraldry, King, Knight, Logo, Medieval, Royal, Shield, Swords.